My Son Broley's first Halloween! We went plain and simple with a scarecrow costume. 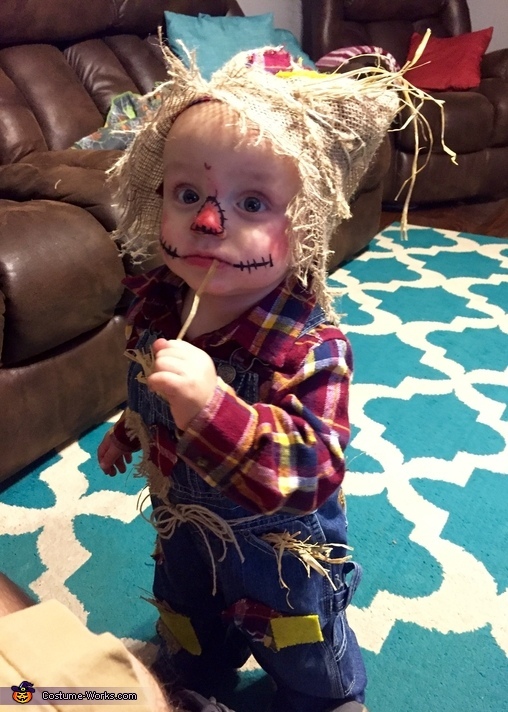 Mommy put lost of love and hard work into every detail of his outfit and although it might no be the most unique costume idea he was still the cutest scarecrow in my eyes! He was also the grand prize winner in the costume contest on Halloween night!